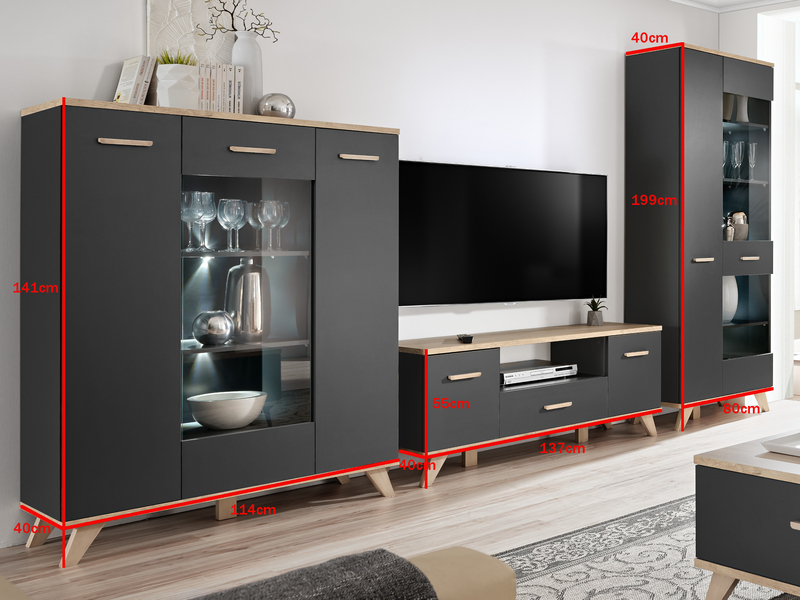 Legg set is combo of living room furnitures in beauty graphite colour. It consist of: 1 sideboard, 1 tall cabinet and 1 TV floor cabinet. Material: MDF and laminated chipboard. Glass parts are made of tempered glass. PVC handles.